The education sector has immense opportunities to grow; be it about the learning or the ways in which it’s accomplished. The traditional learning institute is here to stay. Only in a physical setup can you imbibe the values of experiential learning, peer environment, community setup, communication, and interpersonal skills. Of course, there is also the prestige of physically attending a prestigious institution to consider. 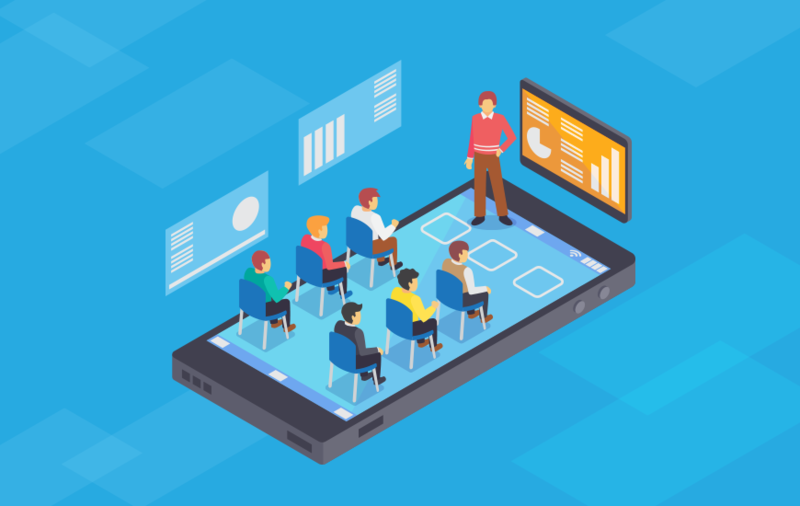 When it comes to the development of specialized skills, however, e-learning platforms are far ahead of their traditional counterparts. 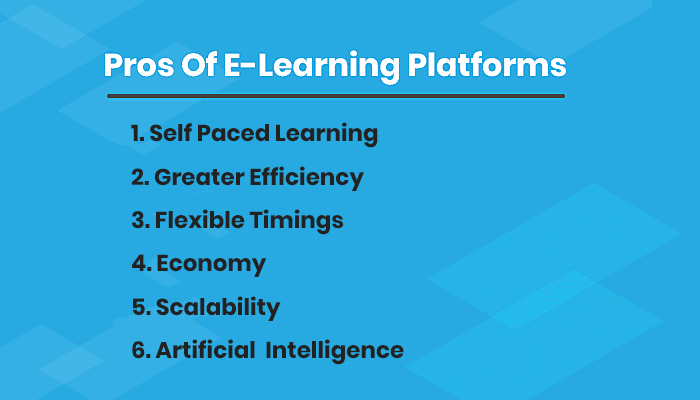 Let’s take a look at the advantages of e-learning platforms over traditional learning system. All students have their capacity for absorbing different subjects and different learning requirements. Unlike classroom settings, e-learning platforms have the flexibility to let their students set of their own study pattern. The e-learning finely tunes their lessons in an effective progression from the easiest lessons to the most challenging and time-consuming. They can also suggest additional practice and conceptual material, for those who need it. One particularly significant advantage that e-learning platform offers is the ability to study wherever you want. By removing the need for students to travel to classes, these platforms free up a lot of time that can be better spent on practice and revision. Traditional learning systems are bound by schedules and timings in a way that e-learning platforms are not. With e-learning platforms, the students can study at any time of the day. 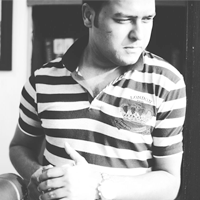 This flexibility to set one’s own schedule is very beneficial to all student, who are also working full time. While e-learning solutions need a lot of initial investment into developing the educational materials and technology piece, they require much less investment later on. Once the product is ready, no additional investment needs to be made for each class. By contrast, in a traditional learning model, the educators need the same amount of effort into conducting every single class. With the help of the internet and e-learning platforms, educators can take their knowledge to a worldwide audience. Many high potential educators have chosen to become involved in e-learning, attracted by the promise of such scalability. It is only to be expected that such educators are people who look to stay ahead of the curve. The quality of a learning system is fundamentally a product of the caliber of its educators. Artificial intelligence or AI solutions quite advanced for e-learning and one of its example is machine learning. By identifying student ’s behavior patterns, machine learning algorithms can develop personalized that suit the student ’s individual learning needs. Such concepts are still in the early stages and will take time before they are deployed in all e-learning platforms. Well, there is no doubt on the added benefits of the e-learning platforms over the traditional learning system. With the added compliment of the technology, e-learning has evolved in a much better way and going forward; we expect it to evolve more positively. How Is Artificial Intelligence Affecting Our Daily Life?